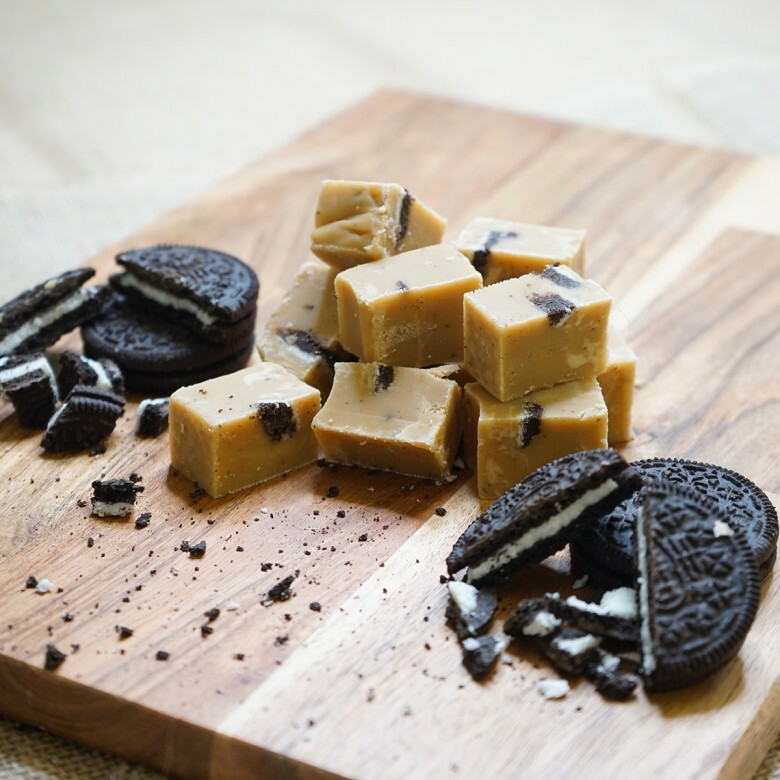 Cookies and Cream Fudge - This collaboration is made using Oreo biscuits. 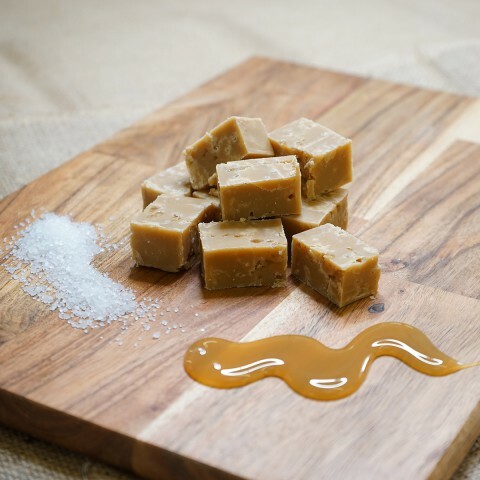 These biscuits are mixed into our trade mark creamy milky fudge with each bite you get the chunky taste of the chocolate cream biscuits and the sweet creamy smooth melt in your mouth fudge. 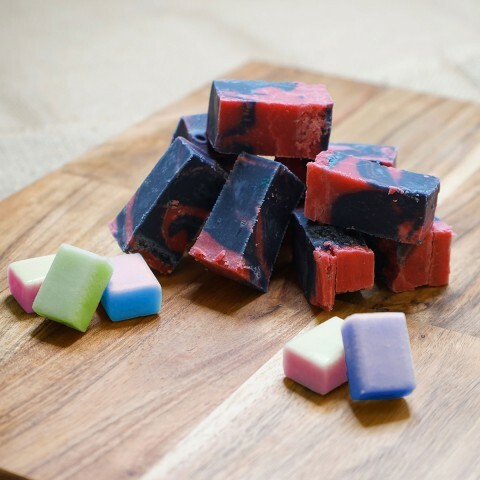 This flavour was added to our product range after it was suggested in our ‘create your own’ section. If you have a special flavour in mind, no matter how ‘whacky’ for a special occasion or wedding please let us know. Ingredients list: sugar, MILK, glucose syrup, palm oil, butter, salt, flavourings, WHEAT flour, fat reduced cocoa powder 4.6%, WHEAT starch, raising agents (potassium hydrogen carbonate, sodium hydrogen carbonate, ammonium hydrogen carbonate), emulsifiers (SOYA lecithin, sunflower lecithin). Cookies and CreamFudge is available in two sizes; a 150 gram bag or a 450 gram box.